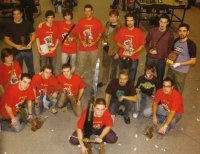 The Golden Demon is a 28mm models painting contest, organized by Games Workshop company all around the world in addition of their annual big show : the Games Day. After more than 18 years, this rendez vous has become the reference on this particular scale and attracts more and more international painters. This website\'s objective is to gather a maximum of winner pictures, by year and location. You will also find additional galleries with misc pictures of former winners, like Jeremie Bonamant, who won 22 awards and initiated this site\'s idea. However some painter names are still missing! Don't miss the next Golden Demons! Building this site, we tried to ask permission for reproducing pictures to a maximum of artists. If your work is displayed on this site and you are not credited, feel free to mail me. Link to Games Workshop official websiteThis web site is completely unofficial and in no way endorsed by Games Workshop Limited. 40k, Adeptus Astartes, Battlefleet Gothic, Black Flame, Black Library, the Black Library logo, BL Publishing, Blood Angels, Bloodquest, Blood Bowl, the Blood Bowl logo, The Blood Bowl Spike Device, Cadian, Catachan, Chaos, the Chaos device, the Chaos logo, Citadel, Citadel Device, Cityfight, City of the Damned, Codex, Daemonhunters, Dark Angels, Darkblade, Dark Eldar, Dark Future, Dawn of War, the Double-Headed/Imperial Eagle device, 'Eavy Metal, Eldar, Eldar symbol devices, Epic, Eye of Terror, Fanatic, the Fanatic logo, the Fanatic II logo, Fire Warrior, the Fire Warrior logo, Forge World, Games Workshop, Games Workshop logo, Genestealer, Golden Demon, Gorkamorka, Great Unclean One, GW, GWI, the GWI logo, the Hammer of Sigmar logo, Horned Rat logo, Inferno, Inquisitor, the Inquisitor logo, the Inquisitor device, Inquisitor:Conspiracies, Keeper of Secrets, Khemri, Khorne, the Khorne device, Kroot, Lord of Change, Marauder, Mordheim, the Mordheim logo, Necromunda, Necromunda stencil logo, Necromunda Plate logo, Necron, Nurgle, the Nurgle device, Ork, Ork skull devices, Sisters of Battle, Skaven, the Skaven symbol devices, Slaanesh, the Slaanesh device, Space Hulk, Space Marine, Space Marine chapters, Space Marine chapter logos, Talisman, Tau, the Tau caste designations, Tomb Kings, Trio of Warriors, Twin Tailed Comet Logo, Tyranid, Tyrannid, Tzeentch, the Tzeentch device, Ultramarines, Warhammer, Warhammer Historical, Warhammer Online, Warhammer 40k Device, Warhammer World logo, Warmaster, White Dwarf, the White Dwarf logo, and all associated marks, names, races, race insignia, characters, vehicles, locations, units, illustrations and images from the Blood Bowl game, the Warhammer world, the Talisaman world, and the Warhammer 40,000 universe are either ®, TM and/or © Games Workshop Ltd 2000-2004, variably registered in the UK and other countries around the world. Used without permission. No challenge to their status intended. All Rights Reserved to their respective owners.